I always pick on Simon when he is in a closed in stall. I tease, “Simon’s in jail” and giggle at him. Simply silly, I know. 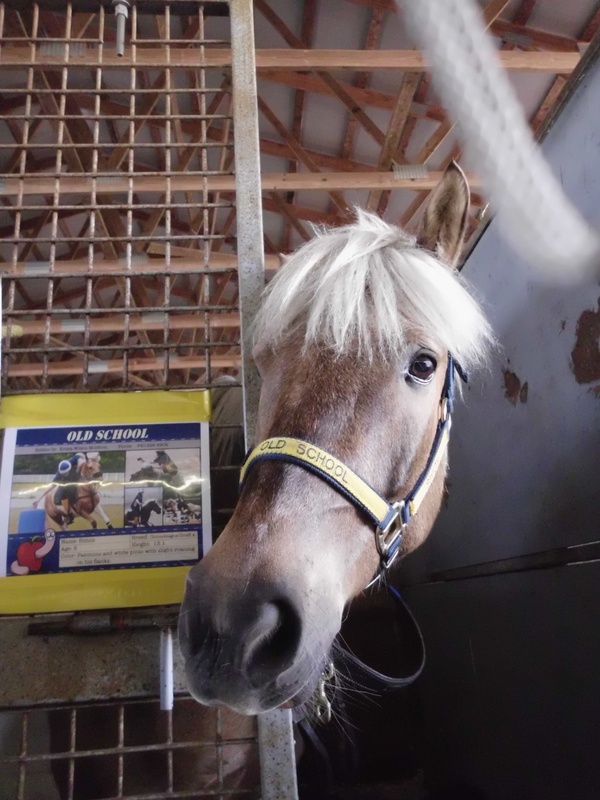 But really, Simon would love to live in a stall part time. Particularly if he were at a busy barn with a half door so he could stick his head out and get attention all day long. He just eats up attention. 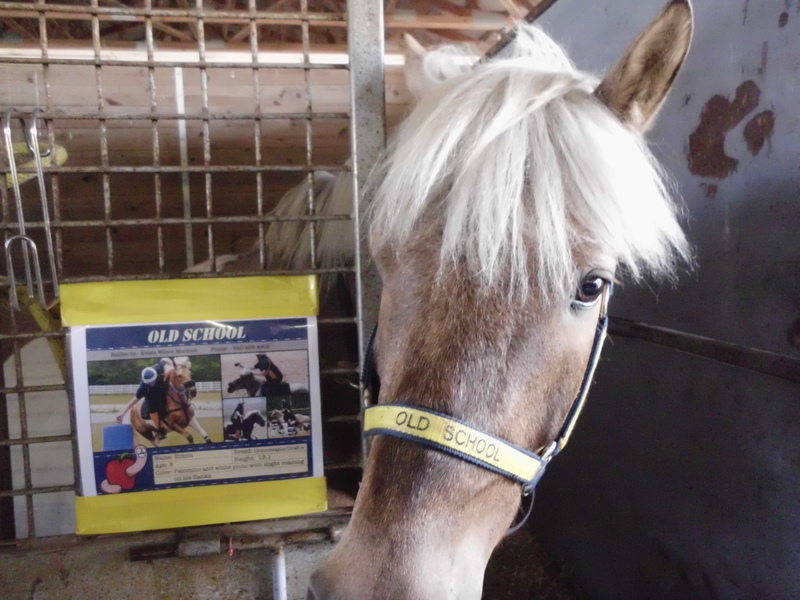 For the most part he is pretty tidy in a stall, keeping his poo in one corner. 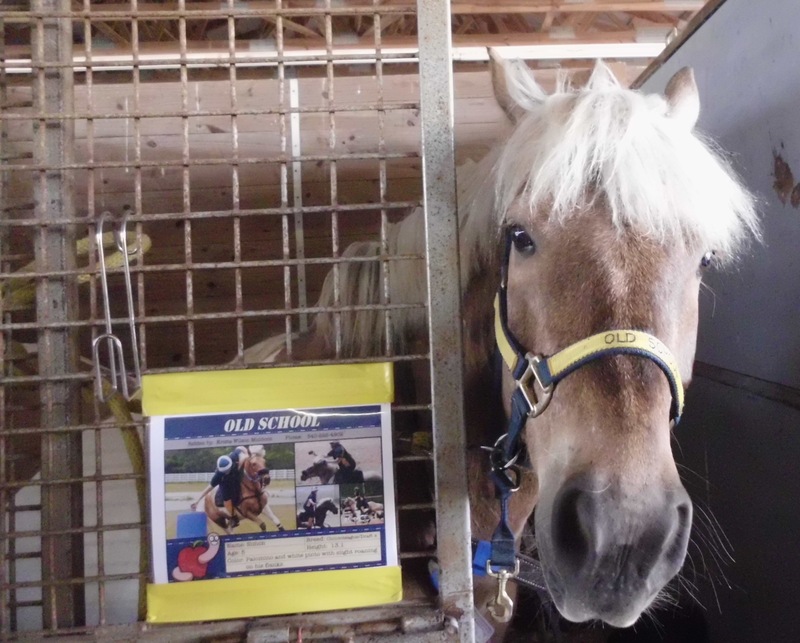 But he does love to paw up a flake of hay, into a perfectly strewn mess all over the stall and pee in it. Then of course he has no interest in eating it and swears starvation. To remedy this I hang a hay bag to help keep his hay palatable which has mostly worked. 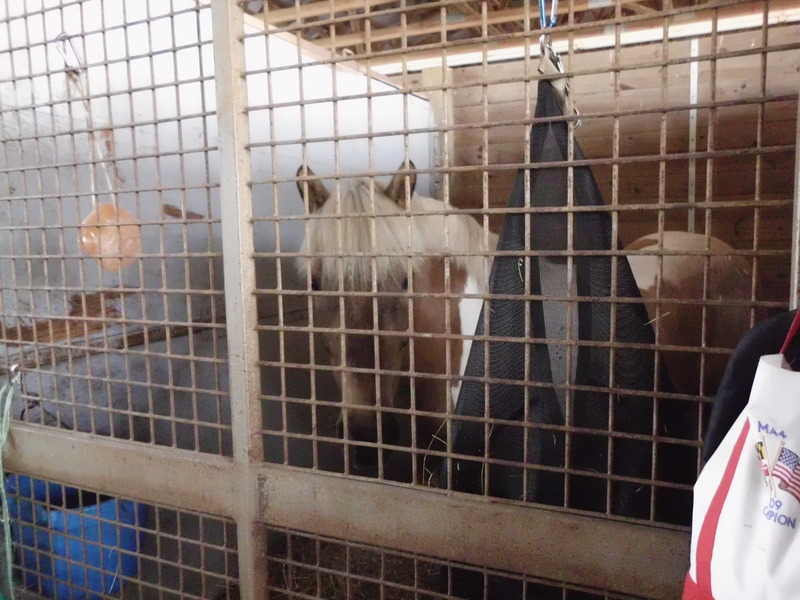 although at MA2 just a few weeks ago when he had to stay in a stall, he ripped his hay bag down two times. the first time I am unsure how he did it as the snap was still solidly in place. The second time he managed to rip the D ring the snap attaches to off the bag. Luckily that is something I can fix easily with my saddlery sewing machine. 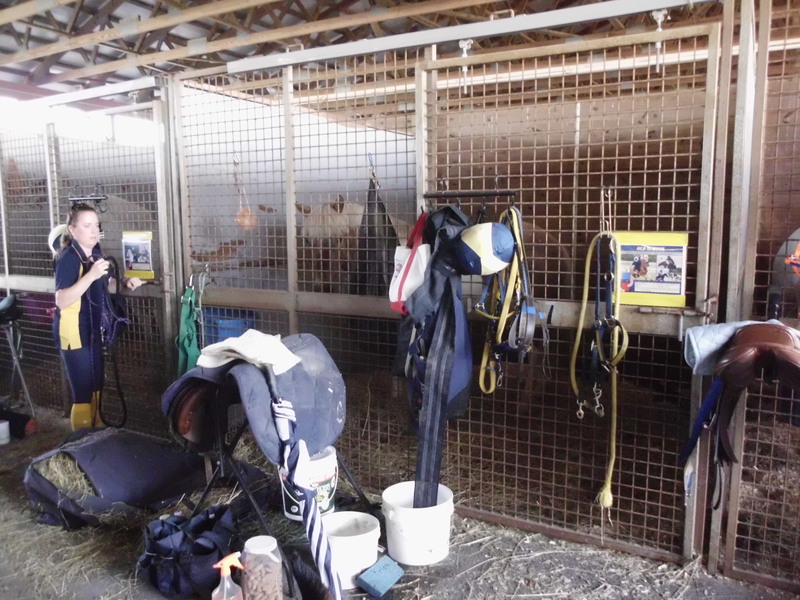 Regardless, in a paddock or in a stall, Simon has a busy mind that needs to be occupied. Maybe his Lick It will travel with him now?